Ice Grey Jackets There are 7 products. 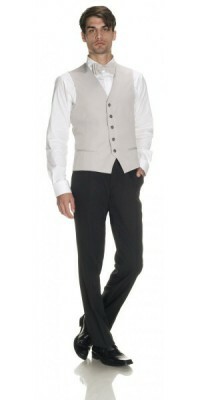 Hotel Wear: style and elegance with waiter/waitress’s uniforms by Corbara in the new Ice Grey colour. This line of hotel wear, proposed in a nice and elegant light grey colour, called Ice Grey, is dedicated to the uniforms for waiters/waitresses working in the restaurant and breakfast room, as well as for catering and banqueting. Such as the uniforms of other colours, the Ice Grey garments are made of wrinkle free Gabardine Plus (100% polyester), to ensure them a long life and an impeccable look, even after several washes. For waitresses, we propose Pavia Spencer, a short and feminine jacket with shawl collar and a silver button, while for waiters we recommend the Roma Jacket, a men’s garment with the same style of the women’s one. For banqueting, we propose Torino Jacket (for men) and Ragusa Jacket (for women), both Mandarin-collared, with a particular hidden buttoning and a single silver button in view. 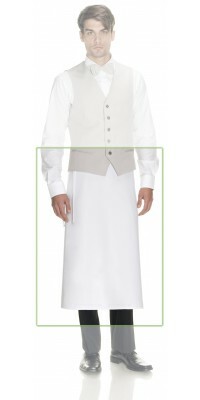 For those who prefer waiters with vest, we propose Parigi Vest, to which you can match the white Barletta Apron, for a unique uniform. This selection of hotel wear is completed by the elegant Bow Tie: an accessory providing originality and elegance to the jackets with shawl collar and vests. 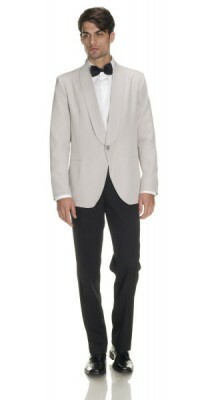 Men's jacket with shawl collar, model Roma one silver colour button, unlined Ice Grey colourImmediately available for delivery: sizes from 46 to 56Made of Gabardine Plus, 100% Pol. Short Women's spencer jacket, model PaviaUnlined, one silver colour buttonIce Grey colourImmediately available for delivery: sizes from 42 to 48Made of Gabardine Plus, 100% Pol. 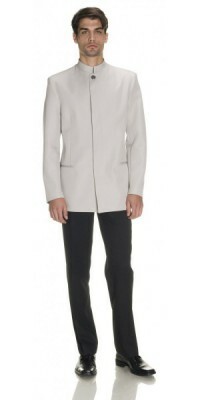 Men's unlined jacket with mandarin collar, model Torinowith only one visible button in silver colour, and rest of buttons coveredIce Grey colourImmediately available for delivery: sizes from S to XL Made of Gabardine Plus, 100% Pol. Women's unlined jacket with mandarin collar, model Ragusawith only one visible button in silver colour, and rest of buttons coveredIce Grey colourImmediately available for delivery: sizes from S to XL Made of Gabardine Plus, 100% Pol. Unisex vest with 5 buttons, model ParigiLined, back made of the same fabric Ice Grey colourImmediately available for delivery: sizes from S to XL Made of Gabardine Plus, 100% Pol. Long apron without bib, model BarlettaWhite coloursize cm. 80 x 90Made of Gabardine Plus, 100% Pol. 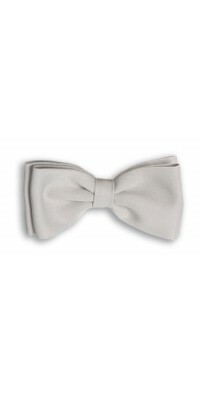 Bow tie, classic modelIce Grey colourAdjustable one sizeMade of Gabardine Plus, 100% Pol.